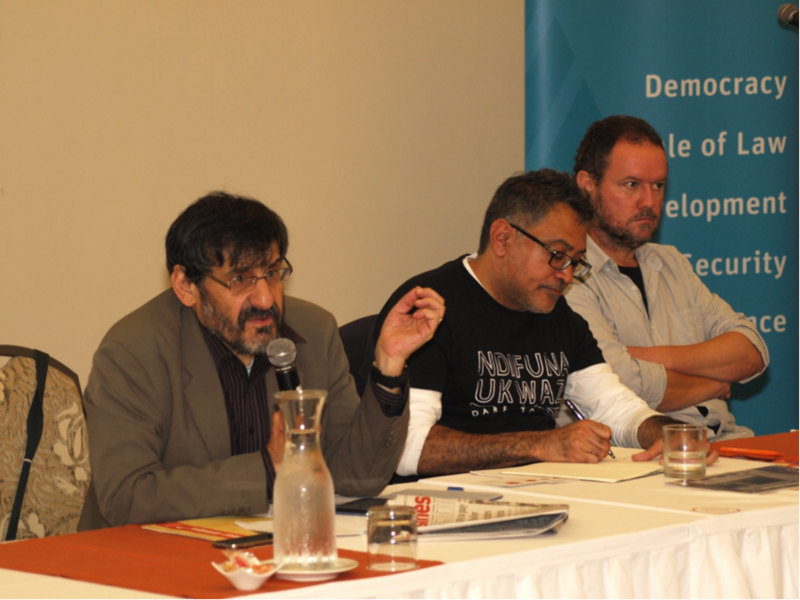 On Friday the 16th May, the Catholic Parliamentary Liaison Office, in collaboration with the Hanns Seidel Foundation, hosted a Round Table on the results of the 2014 Elections. Professor Steven Friedman of Wits University, and Zackie Achmat of the Treatment Action Campaign, were the speakers for this event. Mike Pothier of the CPLO was the moderator. Below: Steven Friedman (left), responds to a question from the floor while Zackie Achmat (centre) and Mike Pothier (right) look on.